Raby Castle was built by the mighty Nevills in the 14th century and is one of the finest and best-preserved medieval castles in North East England. Since 1626 it has been home to the Vane family and is currently the seat of the 12th Lord Barnard. Visit our fascinating rooms, art, artefacts and impressive collection of 18th and 19th century coaches and carriages. Purchase tickets or annual passes for the Castle, Park & Gardens. Attend an event or surprise someone special with a gift voucher. 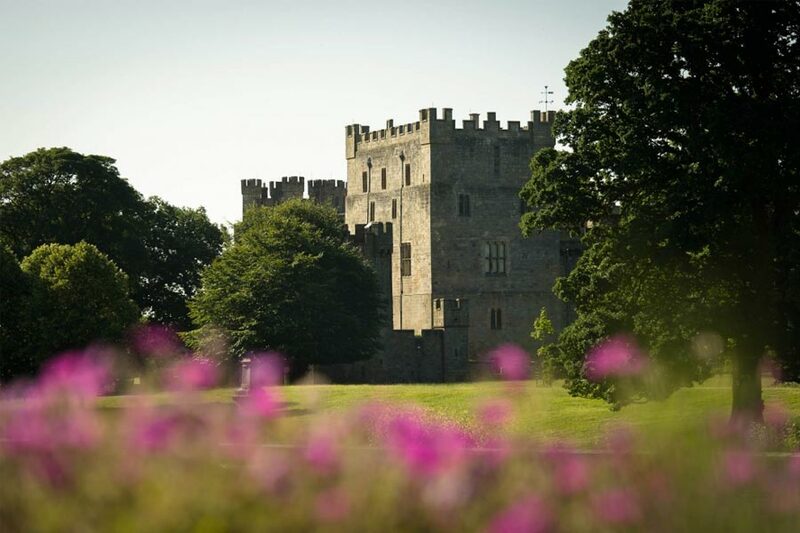 Raby Castle is surrounded by 200 acres of lush green parkland, where herds of red and fallow deer live wild. Explore the park and amble around the ponds to spot plenty of wildlife that inhabit this remarkable setting. We have 5 acres of traditional 18th century ornamental Walled Gardens which include fabulous yew hedges, a fig house, rose garden, trees, plants and ornamental features. If you’re feeling energetic, we also have a Woodland Adventure Playground for children and offer bike hire to explore the grounds and experience the spectacular views. The Coach House and Stables were designed by renowned architect John Carr in the late 1700s. 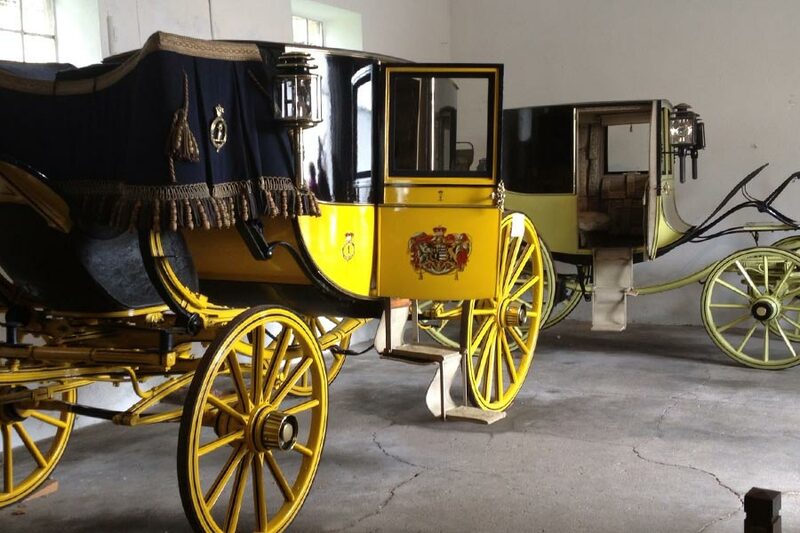 The Coach House contains a notable set of 18th and 19th century coaches and carriages. Our collection includes 18th century travelling chariots, bearing the arms of the Earl of Darlington, the Raby State Coach, built in the early 19th century for the Duke of Cleveland, and hand-operated, horse-drawn fire engines. Raby Castle is a wonderful family day out. There are a range of facilities, a calendar of special events and attractions such as our Woodland Adventure Playground and Stables Tearoom to keep all ages occupied. Raby Castle will be hosting a production of Gangsta Granny on Saturday 13th July, David Walliams’ much-loved tale the tale of a bored boy who discovers his kindly grandma was a former jewel thief. History comes to life when you join our Friendly Footman for a special interactive Children’s Tour of the Castle which has been host to knights, royalty and aristocracy through the ages. Find out what it was like to be knighted and how the Castle was defended from enemy attack. There is so much to learn and plenty to see.